Simviation Forums • View topic - Eagle Rotorcraft downloads: trojan detected! Eagle Rotorcraft downloads: trojan detected! Experiencing a problem using Simviation? Please ask questions or report problems you have here. I was quite excited when I saw that Eric Cantu's DC10 and A300-B4's, originally for FS2k4, had been reworked has native FSX. Comodo Antivirus automatically quarantined the file and I deleted the folders soon after. Now, has anyone found that too? I did some quick research and visited Eagle Rotorcraft's website to find out more. Well it appears that not much has been happening there since 2016! 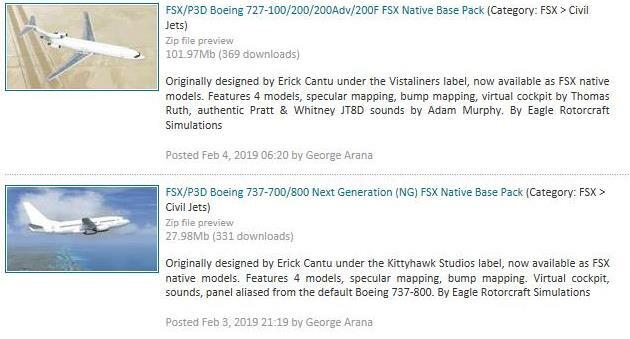 George Arana is in the list of collaborators there, but this does not mean that he is the one responsible for those files in the Simviation FSX Library. Please, can somebody check those files (I guess the 727 and the 737 files are also dirty). Re: Eagle Rotorcraft downloads: trojan detected! Last edited by Bluebear on Thu Feb 07, 2019 11:20 am, edited 1 time in total. George Arana is highly respected developer. 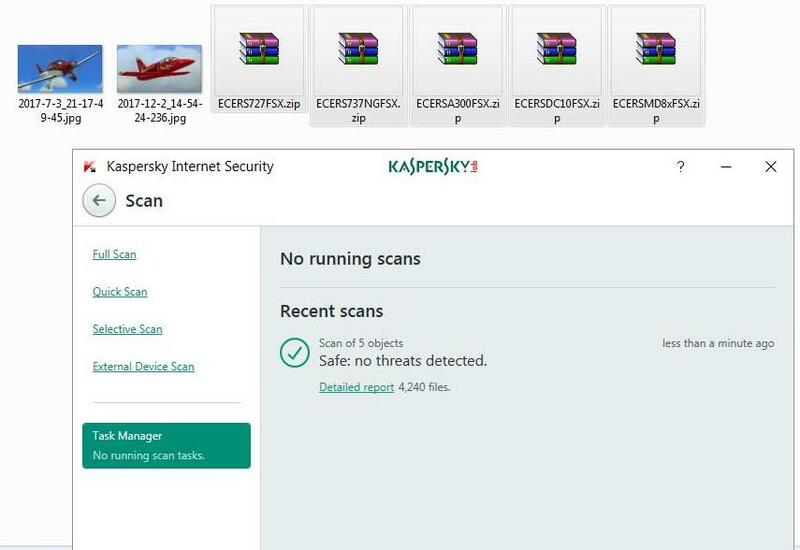 I checked the files with Kaspersky and they came up clean. I checked the 727/737NG/A300/DC10/MD80 files all of them came up clean. I'm glad the files came back clean for you. Maybe Comodo is being extra sensitive here. I'm still not going to risk it even though I would love to try these files. I must say that I never had a buggered file at Simviation over the years, so it must be me. Last edited by villagedefrance on Thu Feb 07, 2019 2:21 pm, edited 1 time in total. Downloaded all 4 files the day they were uploaded as part of backup. All 4 clean with Norton. Plus - all files on server are scanned nightly as part of our hosting service. As said above, George is a highly respected developer who knows what he is doing. These false alerts happen but most often they are caused by a virus or trojan on the user's system. A trojan can lie dormant for some time and then seem to come from a false origin. I've never known a good anti virus that is kept updated to allow a system to get infected. Hope you get things resolved and please keep us updated. Why go someplace else to get the same safe files here. Simviation 100% safe!!! I have never had a problem here, for what its worth!!! I've downloaded tons of stuff from here never had issue as well.